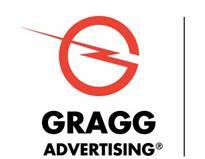 I am an analyst at Gragg Advertising and a graduate student at the University of Missouri-Kansas City. All of my work data is in Excel form, but I want to use PSPP to statistically analyze the results using the lessons I’ve garnered from my coursework. However, every time I try to open an Excel document in PSPP it will only open it in the syntax window instead of the graphic interface data and variable windows. I don’t know how to use the syntax interface but would really like to use the graphic interface to analyze this data. The documents accompanying this transmission may contain information that is legally privileged or other information that is privileged, confidential, and exempt from disclosure under applicable law. This information is intended only for the use of the individual or entity named above. The authorized recipient of this information is prohibited from disclosing this information to any other party unless required to do so by law or regulation. If the reader of this message is not the intended addressee, or the employee or agent responsible for delivering the message to the addressee, you are hereby notified that any dissemination, distribution, or copying of this communication is strictly prohibited. If you have received this communication in error, please notify us immediately by telephone and arrange for the deletion and destruction of these documents. Thank you. Previous by thread: Can PSPP be used in an office by multiple users simultaneously?